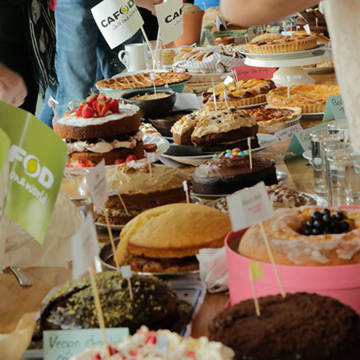 You’ll be amazed how generous people can be when you’re passionate about why you are raising funds for CAFOD. Why not give a talk about your event in your church, school or workplace? Or write an article for your parish newsletter? You don’t have to be there in person to promote your event – use one of our posters and ask if you can put them up in your local shop or church. Your venue may also be able to display a poster, or promote your event on their website. One of the easiest ways to collect funds is through a JustGiving online sponsorship page. You can set up your page in a few easy steps and donations come through to us automatically. Set a fundraising target, personalise the page with photos and share it with friends! Social networks are a great way to spread the word. Set up an event page and invite your friends to attend. Keep everyone updated by posting photos, updating your status and linking to your JustGiving page. Include @cafod in your tweets and we might give you a cheeky retweet! Tag @cafod and we can share your photos. Appearing in the local media is a great way of getting publicity and support. Contact your local newspaper and radio station to tell them what event you’re holding, when and where, and your reasons for choosing to support our work. Don't forget to include your JustGiving page! If you send lots of emails for work or socialising, use your email signature to remind people about your event and include a link to your JustGiving page. Write about your event in a blog – share your experiences as you plan for the big day, and update everyone on how much you’ve raised. Your local CAFOD office may also be able to feature your story on their blog.